Slovenian mountaineering legend Andrej Štremfelj was on 22 September at the Ladek Mountain Festival in Poland awarded the 2018 Piolet d’Or (Golden Ice Axe) for lifetime achievements, becoming the first Slovenian to receive what is considered the top accolade in climbing. Andrej Štremfelj is “a living legend amongst Himalayan climbers, and also an immensely experienced, professional mountain guide,” the jury said as it announced the award on 11 June. Best known for his climbing achievements in the 1970s and 1980s, Štremfelj has a number of firsts to his name. Along with Nejc Zaplotnik, he completed the first ascent of Gasherbrum I (8,068 metres) via a new route, the south-west ridge. In 1979 he made the first ascent of the west ridge direct on Mount Everest. He returned to Everest in 1990, making an ascent of the Normal Route with his wife Marija; they became the first married couple to stand together on the summit. But perhaps his greatest achievement came in 1991, when he succeeded in climbing the south ridge of Kangchenjunga (8,476 metres), for which he received the first ever Piolet d’Or. While Štremfelj is no longer at the cutting edge of climbing, he nevertheless continues to climb and is now a mountain guide. 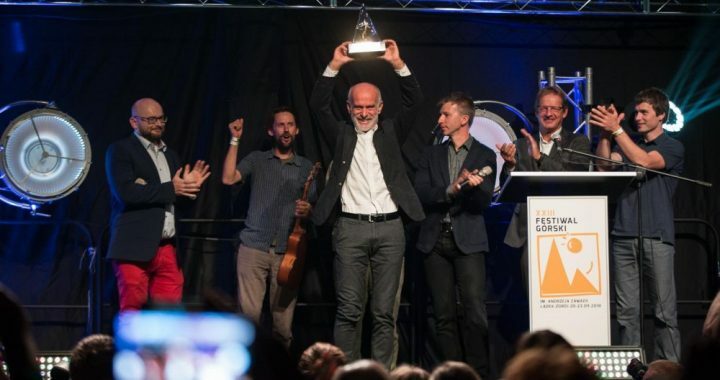 The Piolet d’Or are given by the French magazine Montagnes and The Groupe de Haute Montagne and are considered the top world’s awards for climbing. Previous recipients of the the lifetime achievement award, conferred since 2008, include legends such as Reinhold Messner, Walter Bonatti and Kurt Diemberger. Last year it was conferred on American climber Jeff Lowe. 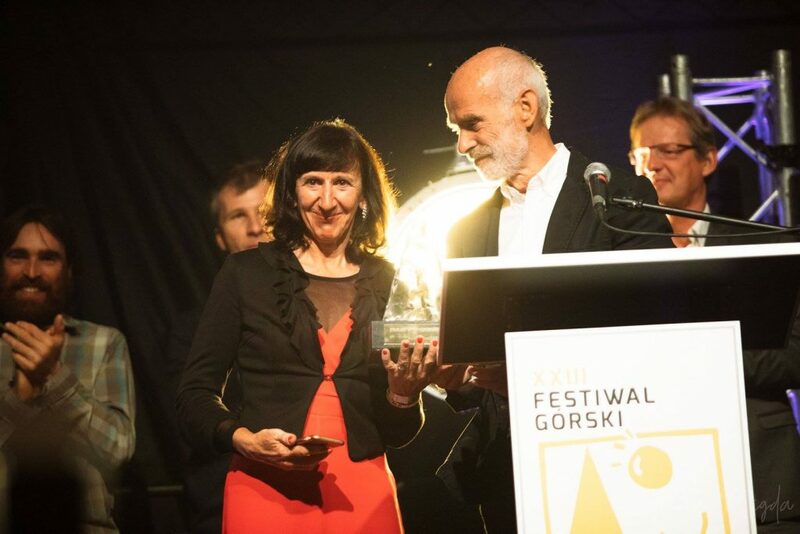 Štremfelj received the award at the Ladek Mountain Festival in Poland on 22 September 2018. >>> ( VIDEO: https://business.facebook.com/ladekmountainfest/videos/333507907219928/?__xts__=68.ARBpc9zTsFIIKZD8GyYIzdlnv6pOgKA0lFhi7dtcZBE6oct8xfzP3CVGh-nOyqeCNBbMH4gutmA3pkPi4JsILpbXDr3QI5jSwzRUTbuZBGp8djVEylatOcnW_5TDAgf9Ej9iCJbML99UTHEFuBJ2xdE1x0Qm44aLGEvZmjtO0aiK-BVnb2OC&__tn__=-R). Andrej Stremfelj was born in December 1956 in Kranj, the city in which he still lives today. He began his climbing career in 1972 with the Kranj Alpine Club, and after graduating from Ljubljana University went on to teach physical education at Skofja Loka High School. He became a mountain guide in 1982 and a fully qualified IFMGA guide in 1997. Although he climbed new routes in his home mountains, arguably Andrej’s most significant achievements took place in 1989, when he made first and second winter ascents of three steep and difficult routes on the north face of Mangart [at around 2,680m the third highest peak in Slovenia], and in summer 2002, when he celebrated 30 years as an alpinist by climbing, within the space of 40 days, 30 different routes on 27 different peaks throughout Slovenia. The most notable of these was Zajeda on Široka Peč in the Julian Alps. However, it was the creation of bold, technically difficult routes in the Greater Ranges, articularly at the highest altitudes, where he really made his mark. By 1977 his reputation as an alpinist ensured he was chosen to join Janusz Loncar’s Yugoslav expedition to attempt the fourth ascent of Gasherbrum I (8,068m) via a new route, the southwest ridge. In poor weather and climbing alpine style above 7,200m, Andrej and another Slovenian icon from the era, Nejc Zaplotnik, completed the first ascent of the ridge in difficult conditions. In 1979 he upped the game, making the first ascent of the West Ridge Direct on Everest (8,848m; he would return to Everest in 1990, making an ascent of the Normal Route with his wife Marija, the first married couple to stand together on the summit). In 1983 he made an unusual alpine style ascent of the Bezzubkin Pillar on Pik Communism (7,495m), in 1985 a new line on the east face of Dhaulagiri – though his party was unable to summit after reaching the east ridge at 7,500m), and in 1986 a 32-hour round trip ascent of Gasherbrum II (8,035m) from base camp. In 1989 he climbed a new route in alpine style up the central pillar of the southwest face of Xixabangma (8,027m). Two years later, in 1991, came perhaps his masterpiece, a bold alpine style ascent of the south ridge of Kangchenjunga to the south summit (8,476m), an climb awarded the first ever Piolet d’Or. In 1999 he made the first ascent of the north face of rarely climbed Gyachung Kang (7,952m). Inevitably, climbing at high altitudes isn’t always successful. An attempt to make an alpine style ascent of the British Route on the south face of Annapurna was thwarted low down by dangerous conditions. However, there were two notable “failures”. In 1981 he reached 8,250m on the unclimbed south face of Lhotse (8,516m), and in 1988, in an attempt to make its second ascent, reached 8,100m on the southsouthwest pillar – the Magic Line – of K2 (8,611m). At slightly lower altitudes Andrej made first ascents of a number of Himalayan peaks such as Nyanang Ri (7,071m, 1989), Boktah (6,114m, in 1991), Palung Ri (7,012m, in 1995), Siguang Ri Shar (6,998m, and a new route on 7,309m Siguang Ri, both in 1999), Lashar I (6,842m in 2005), and more significantly the two highly-coveted summits of Menlungtse (7,181m, via the east face in 1992), and Janak (7,041m, via the southwest pillar in 2006). Outside Asia he travelled to Patagonia in 1996 to put up Born under a Wandering Star on the east face of the North Tower of Paine. Slovenian summary: Andrej Štremfelj, slovenska alpinistična legenda, je 22. septembra na gorniškem festivalu v Ladeku na Poljskem kot prvi Slovenec prejel zlati cepin za življenjsko delo in tako postal edini zemljan s tem prestižnim priznanjem tako za življenjske dosežke kot za vrhunski vzpon.